Poly belongs to the oldest generation of Utopian women and was introduced to painting in the Batik workshops from 1979. 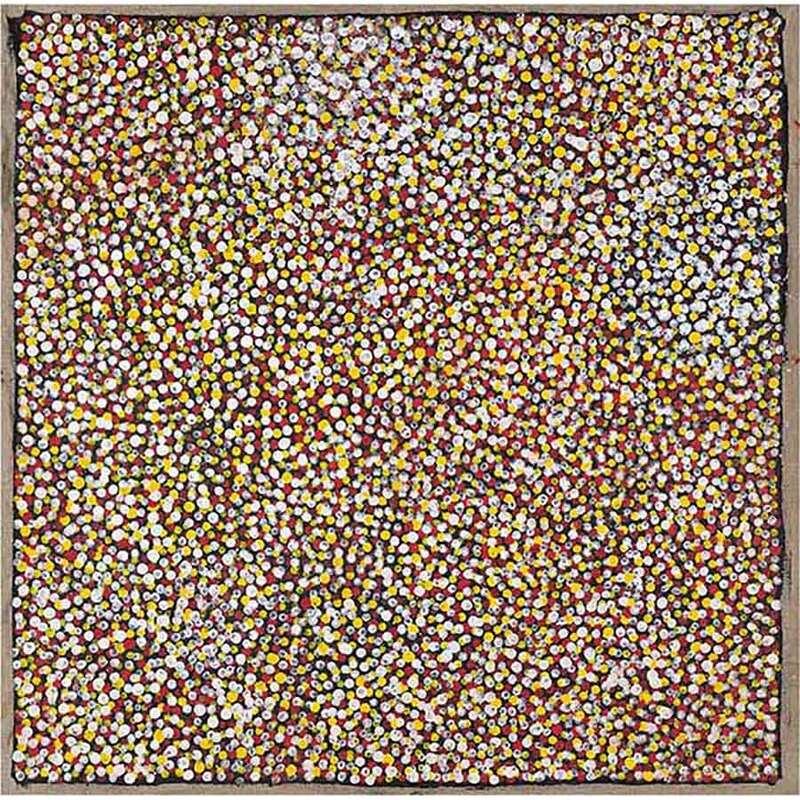 Emu Seed Country 2006 is a fine example of her ability to paint streams of seeds, by layering thousands of minute dots on top of each other, creating fields of glowing colour. Her works celebrate the desert landscape of Utopia. Poly has been exhibiting since 1999 and often paints with her sister Kathleen. In 2004 Poly was a finalist in the prestigious Telstra National Aboriginal and Torres Strait Islander Award. 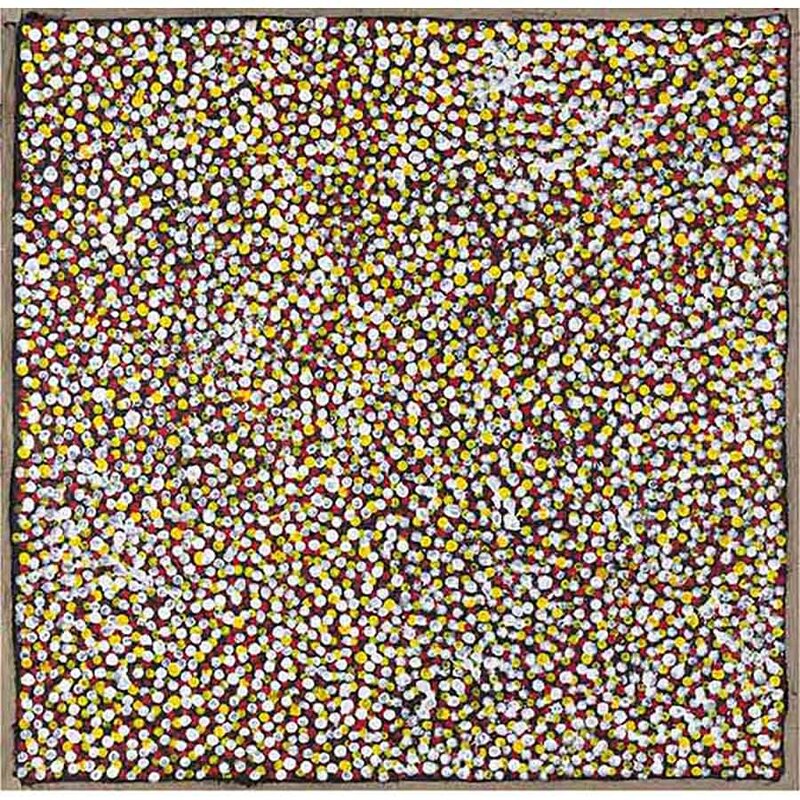 Her works feature in renowned Australian collections such as the Art Gallery of South Australia, the Art Gallery of Western Australia, the Holmes a Court collection as well as numerous private collections nationally and internationally. The vibrant collection of Poly’s signature Bush Plum and Berry designs showcases a vivacious palette of vibrant reds, crimsons, oranges and cadmium yellows – a desert bloom of colour and energy. The artist’s modern interpretations of Indigenous bush tucker works are eloquently constructed.